LOE IS BORN OUT OF A SPECIFIC NEED. WHILE RESEARCHING FOR OUR INTERIOR DESIGN PROJECTS WE OBSERVED THAT THE MARKET IS LACKING OVERSIZE FLOOR LAMPS. ONE THAT COULD FILL THE ROOM WITH A CERTAIN VOLUME AND HEIGHT. THIS GAVE RISE TO THE IDEA OF DESIGNING OUR OWN SOLUTION, WITH MATCHING SMALLER LIGHTS FOR BEDSIDE TABLES OR SIDEBOARDS. 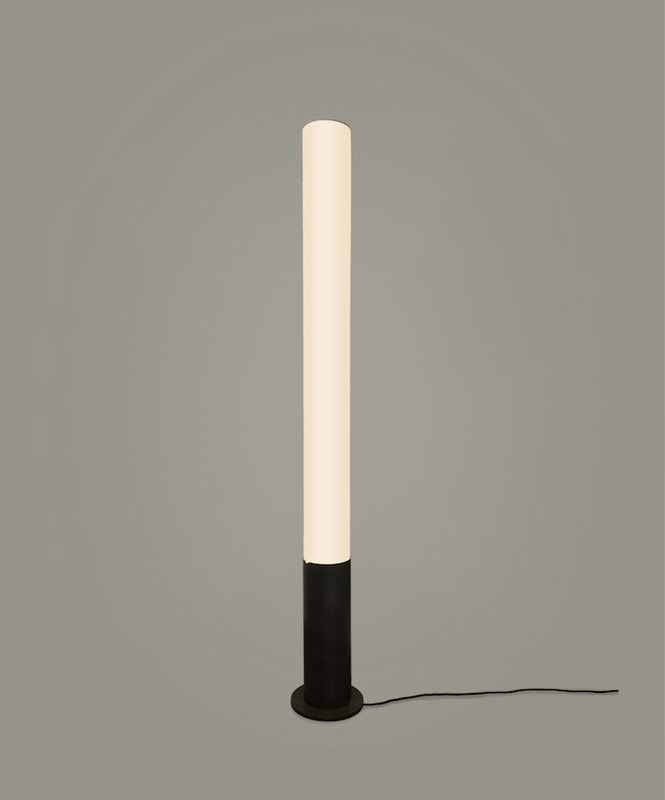 THE ELEGANT FLOOR LAMP FAMILY LOE IS AVAILABLE IN VARIOUS METAL FINISHES AND WITH DIFFERENT COLORED SHADES. THANKS TO ITS ROUND SHAPE AND THREE LEGS, LOE ALWAYS STANDS IN THE PERFECT POSITION AND DOES NOT HAVE TO BE ALIGNED WITH A WALL OR FURNITURE. THE COLLECTION IS PRODUCED IN EUROPE TO THE HIGHEST QUALITY STANDARD BY THE GERMAN MANUFACTURER BAULMANN.